I have signed up for your newsletter. Thanks for the generous giveaway. I LIKE on facebook as well. I am absolutely in love with Melody Miller's Ruby Star Rising Vintage Dishes. The dusty pink color is gorgeous and I am a lover of all things tea and tea adjacent! I now happily recieve Pink Chalk newsletters! Nani Iro is super fantastic! Heart Daisy Pink Chocolate is one of my favorites, there are a lot of nice pieces. Oh, I love those echino helicopters. I got some really cute japanese fabric from Pink Chalk a year ago, but I don't remember what it was called! I've also just signed up for the mailing list and am super excited to get the first newsletter! YAY! I "like" Pink Chalk on Facebook! My favorite Japanese import fabric is Echino Basics Dots Olive Cream. Olive green and grey is my favorite color combo...at the moment. I liked Pink Chalk Fabrics on facebook. Just signed up for the Pink Chalk Fabrics newsletter! I just signed up for their newsletter as well. I think the Echino Bon Bon in Oxblood is my favorite Japanese import. I love the Kokka Trefle Carnival print! I love the Echino line of Japanese imports. Fun and Fresh! the helicopters are great. Oh my! LOVE the Echino orange helicopters! My hubby is an EMS helicopter pilot and orange is his fav color...that is a must-have! I'm new to Japanese fabrics so I don't really know the names of any of the lines. 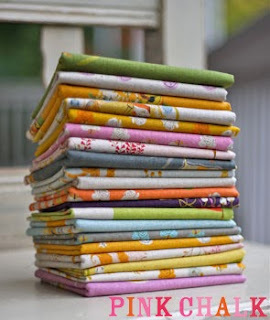 But I do like the echino fabrics that I'm seeing out there, both on Kathy's website and Elizabeth Hartman's blog. Thanks for the opportunity to win some amazing fabric. I already receive the Pink Chalk newsletter! and I subscribe to the pink chalk newsletter. Oh those Kokka train station cars are super cute! I have no idea how to link to the tweet now with new twitter now though, eek! And I liked you on facebook! I liked Pink Studio's facebook page! I love my Pink Chalk Newsletter! I 'liked' Pink Chalk on Facebook. I signed up for Pink Studios newsletter!! I just Tweeted about the giveaway. Thanks! Echino, of course! I really love the brown eyeglasses print right now. I'm a happy happy customer of Pink Chalk Fabrics, both patterns and fabrics. I just love the ideas there. AND I would love this great group of fabrics. I'm already a newsletter subscriber. I love all the echino prints, scooter, glasses, helicopter, you get the idea. I get the newsletter, love the shop. Posted about it on my own blog! I blogged about your contest. Look on the right side bar. I receive the Pink Chalk newsletter. I am a subscriber to Pink Chalk fabrics. Can't wait to get my first newsletter! I think ruby star rising has to be my favorite right now! I love the many Heather Ross prints and collections too! It's a shame Far Far Away I isn't still on the market or I would buy it all up. I like Kokka Echino Cotton Linen Fabric Turquoise Bird Floral by Etsuko Furuya and the rest of that line. Signed up to get pc news letter! I love the Ruby Star Rising fabric by Kokka as an import! I wish there were more places that I could find them here in a shop instead of online! I receive the Pink Chalk newsletter now! WOOHOO!!! I love the Isso Ecco & Heart Seedpod Blue fabric, so pretty! Echino Perch Grape is my fav! I "like" Pink Chalks facebook page. I have been signed up for their newsletter for the past month! Favorites are always hard! And choosing from tiny swatches is hard. I'd love to be entered into your generous giveaway! WOW!!! These are beautiful! It makes me want to sew something, lol. Congrats to whom ever receives this. The Japanese fabrics I'm loving right now are Echino. Cute, cute, cute! My favorite Japanese import on Pink Chalk is the Kokka Train Station cars. 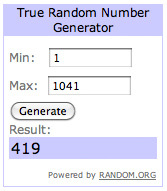 Thank you so much for hosting this giveaway, I hope I win! I love the glasses by enchino! Thanks for the great giveaway! I liked Pink Chalk Fabrics on facebook. Thanks for the giveaway. I love the Isso Ecco and Heart prints. New to me - haven't seen them used too much before. Pink Chalk is great! I like Pink Chalk on FB already - enjoying the updates on the One Yard Wonder sewalong. I'm a fan of Echino! I love the bright colors! I already receive the newsletter - temptation in every one! I like Pink Chalk on Facebook. I already get pink chalks newsletter! I love the Isso Ecco & Heart Flower Natural. Sew cute!!! I 'liked' the facebook page! My favorite is the Isso Ecco & Heart Daisy Pink Chocolate, so pretty! I love, love the echino dots line - such a simple and beautiful basic in any quilt! The Japanese fabrics are lovely. My favorite the Isso Ecco Heart and seedpod blue. Ruby Star Rising is my favorite, thanks for such a great giveaway! Ooo, it was so hard to narrow it down to just one, but I looove Echino by Etsuko Furuya Fall's Spring! Gorgeous pattern and colors! and I've tweeted (@thethylacineuk). In the unlikely event that I win some fabric, I'm going to give it to my mum! Gee...I don't know a thing about Japanese imports...anything that's pretty works for me! I like Echino and Rosalie Quinlan in the Japanese imports. Melody Miller's Ruby Star Rising Vintage Dishes. I signed up for the newsletter too. Would love to win these awesome fabrics! I signed up for their newsletter - love their fabrics! I've been a subscriber AND have followed Pink Chalk's blog for several months now. i never saw the heather ross mermaid fabric until it was too late to find some! far far away is so pretty; that would be my favorite. I've "liked" Pink Chalk on Facebook! I love the kokka (FFA2!) Japanese imports! I already a Pink Chalk newsletter subscriber. I think Echino's Spring 2010 Glasses Brown is cute! I signed up for the pink chalk newsletter...danger! to my budget! My fav Japanese import has to be Kokka Trefle Sewing Notion Red....not really surprising! Check out my tweet! Happy to let my tweeps know about this great site. 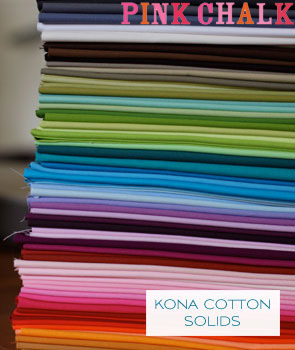 Thanks for the opportunity to win some yummy fabrics! I have been getting Pink Chalk's newsletter. Thanks for sharing such a great giveaway...love what Heather Ross designs. I love Kokka Train Station! Such cute prints! Wow--all that FFA--Someone is going to feel like they won the lottery! I find that I love anything Echino! I now LIKE Pink Chalk Fabrics on Facebook! And I've been getting Kathy's newsletter for a while now! I really like Atelier Akiko Paris Sketchbook Blue....so cute. I just signed up for Pink Chalks newsletter. Love the fabric giveaway and the link for the cute water bottle tutorial. Oh! I like that Isso Ecco & Heart Flower Natural that you show. I'm going to get me some of that! I do not actually have a favorite they are all so neat. Please count me in on your give away. And I "liked" Pink Chalk on Facebook! I just signed up to get the newsletter and learn more all about them. My favorite Japanese import is Ruby star Rising, especially the viewmaster reels! I am already on Pink Chalk Fabrics mailing list. Looking forward to the newsletter! I honestly don't know ... how do you ever pick a favorite fabric? Oh I didn't realize that Atelier Akiko had such lovely stuff. I would pick that as my favorite Japanese import fabric(for today). I already receive the newsletter and Kathy's shop and customer service are fantastic! I already receive Pink Chalk's newsletter. OOOH, echino by Etsuko Furuya Spring 2010 Glasses Brown would have to be my favourite. I'm not sure if Far Far Away ll is technically a Japanese import, bit if it is, it's my favorite! I clicked the LIKE button on Pink Chalk Fabrics Facebook page. My favorite Japanese Import is Isso Ecco & Heart Daisy Pink Chocolate - although it was very hard to pick - there were so many great prints! wow my fingers are crossed so hard! i love the echino cheater patchwork fabric. so dang colorful! and i'm signed up for the newsletter! yay! I am also already a subscriber to her newsletter! My favorite import fabric would probably be this FFA2 line. Especially all the rose prints. Love those! I posted this contest on my blog. I "liked" Pink Chalk on facebook! I like the Echino glasses! I'm already receiving the Pink Chalk newsletter. I love it! I love the Echino prints. Gorgeous stuff! I'm very excited about this giveaway. I love Far Far Away and would love to win it. Thank you! I posted this giveaway on twitter. My favorite imported fabric is Echino Perch in pink. I really like echino by Etsuko Furuya Spring 2010 Bus Black + White. I wish she still had the camera fabric. I have a bit of it. I think I need more. My favorite Japanese import is Far Far Away II. But a close second is Echino, the eyeglasses.